When Magic-Flight was just starting out, our first move after getting the functionality locked in was to hire a few people to help build launch boxes out of our tiny residential garage. We were blessed to be able to grow organically, in such a way where all of the original employees came to the company by word of mouth, as friends of friends. As such, there has always been a particular family kind of vibe, including similar values. 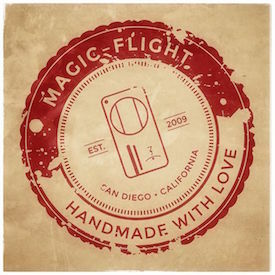 We’re proud to say that our products are handmade with Love by artisans in San Diego – which is truly a rarity in the quickly-expanding vaporizer industry. We make our products from wood because we believe in sustainability and being as eco-conscious as possible. We offer a lifetime functional warranty on our vaporizers, and provide world-class, authentic customer service. Lately, we have been looking back at the past decade pondering – where has the time gone…..looking at our NY Times review from 2 years ago and thinking – that seems like last week! Magic-Flight is ever thankful for the hardworking employees who show up everyday ready to help the world breath easier. 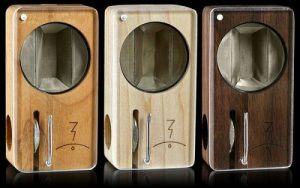 Coupled with our loyal vape community, Magic-Flight looks forward to the days ahead with our new products as well as the OG of them all….the Maple Launch Box. This entry was posted in Behind The Scenes, New Product, Products, Uncategorized by Magic-Flight. Bookmark the permalink.